Several months ago, Dr. Grcevich and other mental health leaders were invited to a meeting hosted by the US Department of Health and Human Services. Dr. Grcevich and others presented their mental health ministry models, shared ideas and promoted best practices. Though the group acknowledged many challenges found in mental health ministry, there also emerged some encouraging areas of agreement across the ministries and programs represented. Three characteristics of successful mental health ministry initiatives that were identified are collaboration, cultural competence and a call to action. Collaborations typically involve local mental health practitioners or local government groups providing medically accurate education and resources to churches. Such collaborations prepare churches to be alert to mental health needs within their own faith communities. Educational materials and training succeed best when resources are medically accurate, use language that both church leadership and medical professionals can understand, and clarify the role of the church versus the role of the medical team. Training programs such as Gateway to Hope in Houston help local churches recognize mental health needs versus spiritual needs, allowing the trained churches to be first step to mental health care. Successful mental health collaborations work in part because the partnerships or programs meet unmet needs within the context of the culture of the local community. Inner-city versus rural versus suburban communities often have very different local problems, and their populations often have very different personal interests. Projects initiated by The Hogg Foundation for Mental Health and The Reimagining Health Collaborative of the Theology, Medicine and Culture Initiative at Duke University Divinity School have engaged local churches in areas where mental health care is limited, to solve social problems and provide support for mental health needs in ways that make sense for both the church and the local community. Key Ministry often hears that churches want to help meet mental health needs, but they don’t know what to do. Successful mental health ministry initiatives engage the faith community in a specific call to action. With the needs of their specific communities in mind, many churches provide space and time for education and awareness, allow support groups to meet in available space, and plan events that communicate that persons with mental health needs will be supported. In addition to the examples cited above, Fresh Hope groups and training brought to churches by the American Association of Christian Counselors each help faith communities understand what can be done, and how positively impactful the role of the church can be for a person experiencing mental illness. Mental health ministry succeeds best when it views a person with a mental illness as someone who has something preventing him or her from doing well. Churches that include mental health needs as part of overall efforts to building relationships within their faith community are beginning to see very positive results. As mental health ministry grows, my hope is that these efforts will enhance mental health recovery for individuals and families, and that churches will experience many of the same blessings experienced with traditional disability ministry. Next month’s blog post will address unique elements found in some mental health ministries that may work well in your church. 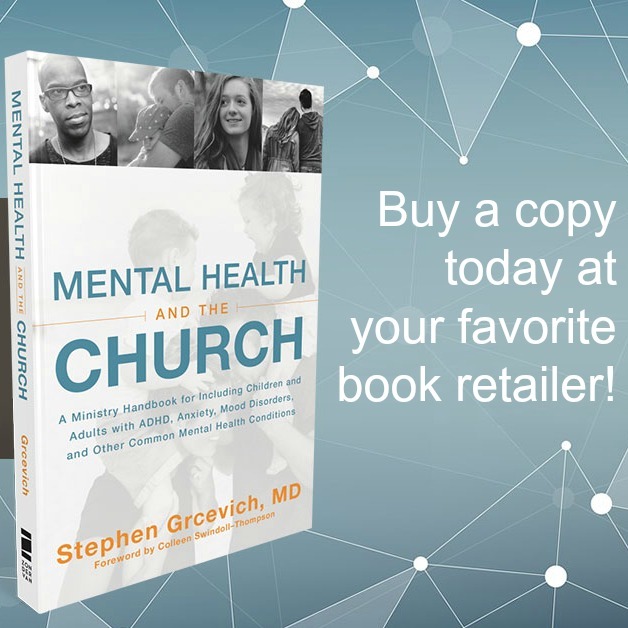 The American Psychiatric Association publishes a Mental Health Guide for Faith Leaders. Click here to download your free copy.